Lagos' population is expected to reach 24 million people by 2020, which would make it the third largest city in the world. Every hour, 21 new inhabitants set out to start a life in the city, a life that is highly unpredictable and requires risk taking, networking and improvisation as essential strategies for survival. Rem Koolhaas - winner of architecture's Nobel, the Pritzker Architecture Prize - is a Professor of Architecture and Urban Design at Harvard. 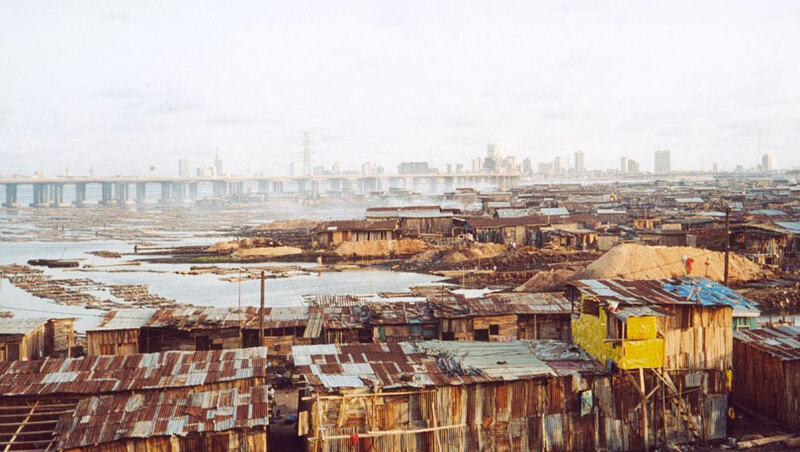 For the past four years Koolhaas and students from The Harvard Project on the City have come to Lagos regularly to research the type of urban environment that is produced by explosive population growth. 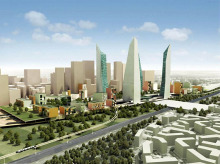 The Project on the City is framed by two concepts: academia's bewilderment with new forms of accelerated urbanization in developing regions and the maelstrom of redevelopment in existing urban areas; and, second, the failure of the design professions to adequately cope with these changes. LAGOS / KOOLHAAS follows Koolhaas during his research in Lagos over a period of two years as he wanders through the city, talking with people and recognizing the problems with water, electricity and traffic. But instead of judging the city to be doomed, he is able to interpret this 'culture of congestion' positively, thereby creating a completely new concept of the big city. Photography, Alexander Oey; editor, JP Luijsterburg.